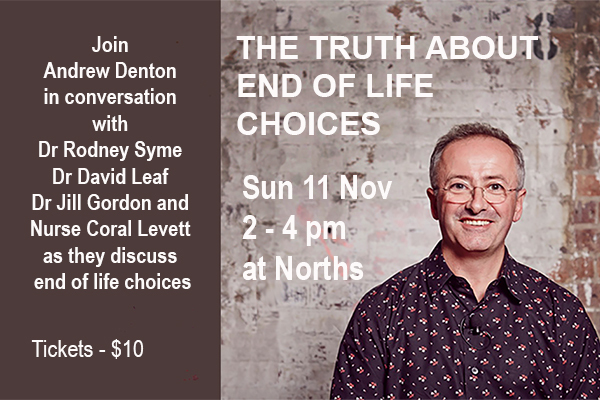 Please join us for an important forum with medical professionals revealing the reality of end of life care in Australia and the choices we face when we die. 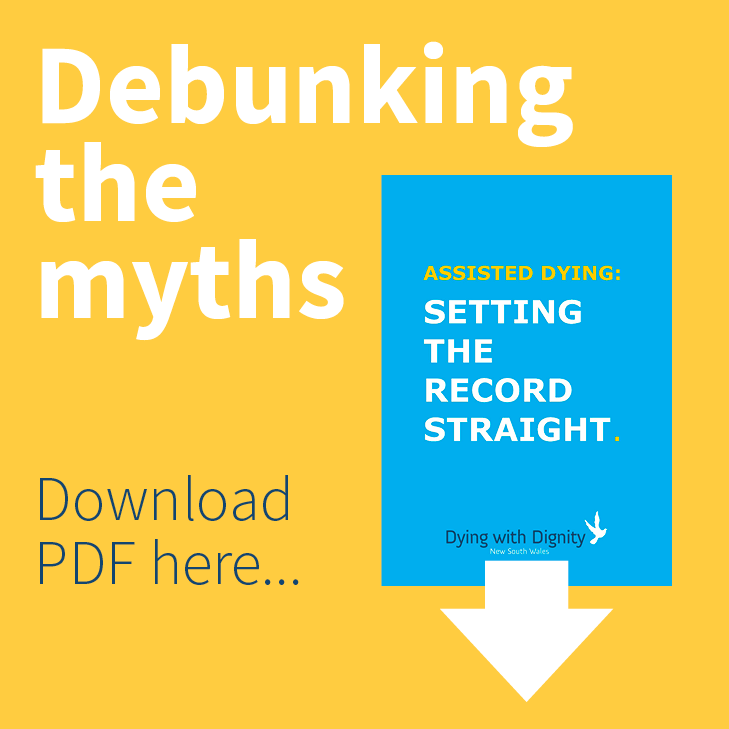 Everyone wants a ‘good death’ but it is clear that too many people die in circumstances which involve great suffering and distress for the patient and their loved ones. Our panellists have experienced these issues ‘at the coalface’ and know that palliative care cannot relieve all suffering at end of life.